This is October and the time of year that much of the country starts cooling down. This brings out our desire for warm, comforting dishes, possibly a throwback to when much work was done outside, and as the days grew colder, people wanted to warm up with a good, hot meal at the end of the day. Dishes that quickly come to mind are soups, stews, chili, and casseroles (or hot dishes in some parts). In this series we have been talking about simple recipes, quick-fixes for busy nights, keeping our pantry stocked and saving money. I thought about where to go next, and decided to bring you a soup recipe that you can make entirely from your pantry. I usually use any fresh ingredients that I have, but I know that if I am out of potatoes or my carrots went south, I can still make my soup. 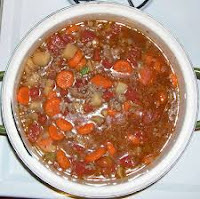 Here is how I would make a pantry version of my vegetable beef soup. Add all ingredients to an 8-quart stock pot and bring to a boil. Reduce heat and simmer at least 30 minutes and an hour or more is better. If your soup seems too thick, add more stock or water. As usual, everything but the canned items are estimates, and this is fine because this is more of an illustration of how you can make a pot of soup with only what you have on hand in your pantry. You can customize it to suit your family's tastes by changing up the veggies, or use it as a guide for your own creation. 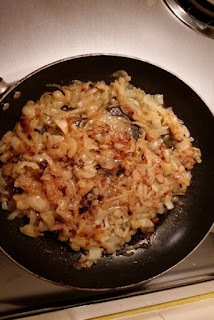 When using dried onions, you are looking for the equivalent of the amount of fresh you would use. 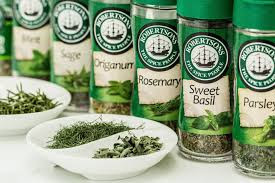 When using dried herbs, use about 1/3 of the amount you would use fresh. 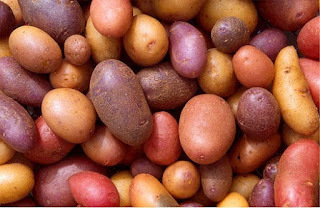 When using fresh ingredients, I will heat some olive oil in my pot and begin cooking the potatoes, onions and carrots, then add the liquids and other canned ingredients. Is soup only a cold-weather food? 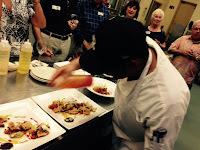 Previously we talked about how to quickly turn convenience foods into something more interesting and appealing. That is easy to do with a well-stocked pantry, which can be your kitchen cupboard or other storage place for dry goods and shelf-stable items. In addition, we will look at the freezer as another way to save money. The best place to start planning your pantry is to look at what your family likes and eats regularly and categorize ingredients such as pastas, soups and sauces, vegetables, meats and fruit. This is not meant to replace fresh foods, but rather to supplement them. As an example, perhaps you eat pasta frequently, and unless you always make your own sauce, you would want to keep jars of sauce on hand as well as dry pasta such as spaghetti, macaroni or penne. As I mentioned in a previous post, if you are a baker, you might consider purchasing your baking ingredients in bulk to save money. This also helps keep your pantry functional and prevents that last minute run to the store for sugar or flour. Another tip for the baker's pantry is bulk yeast. It is far cheaper than the 3-packs and will keep for quite a while in your freezer. Your freezer is an extension of your pantry. Your freezer is another money-saving strategy, especially on meat, because we all know how expensive that is these days. When it comes to beef, chicken, bacon, etc. buy one get one free sales are your best friend. Stock up on your family's favorites and freeze them. Some things will need to be repackaged because the way it's packaged for sale will not protect it for long in the freezer. A well-stocked pantry is about saving money, reducing last minute trips to the store and having what you need when you need it. This will help with quick-fix meals as well as allow you to eat better on a regular basis. Personally, I use fresh, frozen, dried and canned foods, and each has it's own place in my kitchen. Are you a weekly shopper, a monthly shopper or a stop-on-the-way-home shopper? What are your favorite money-saving strategies? We all do it, right? We are busy running around and all of a sudden it's time to make dinner. You have hungry mouths to feed, not the least of which is your own, so you grab whatever is the easiest or worse, take-out. When hunger strikes, I look to my pantry and freezer to see what I can pull together in a hurry. It is important to be able to make a meal without having to run to the store (which is another post), but how do you turn your quick-fix convenience foods into something interesting rather than serving up the same old boxed mac and cheese, or frozen pizza...again? 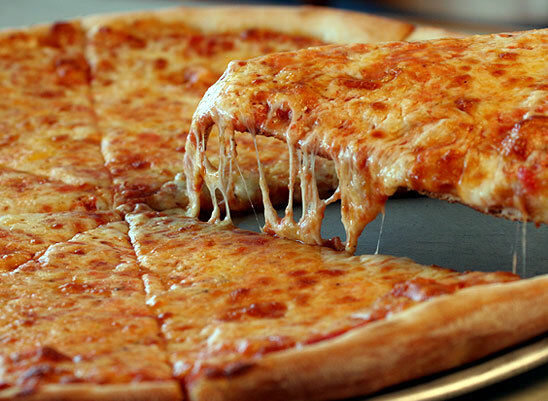 Buy frozen cheese pizza and add your own toppings. This way you can make one or two pizzas and everyone can customize their own portion. Maybe you add extra cheese to one half and peppers and onions to the other, and make the second one half mushrooms and ham and the other half pepperoni. Everyone wins! 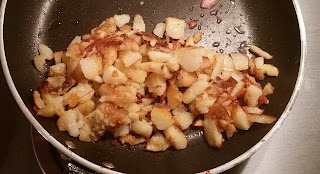 Take boxed or frozen hash browns and add chopped onions and green peppers and top with cheese or bacon bits. Serve with eggs and toast for breakfast or dinner. 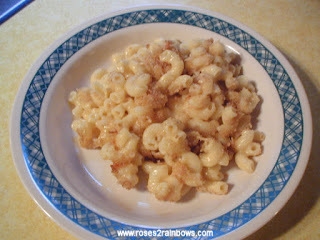 Boxed mac and cheese can be dressed up with add-ins such as ham, bacon, onions, or prepared as directed and then topped with buttered bread crumbs and baked like homemade. 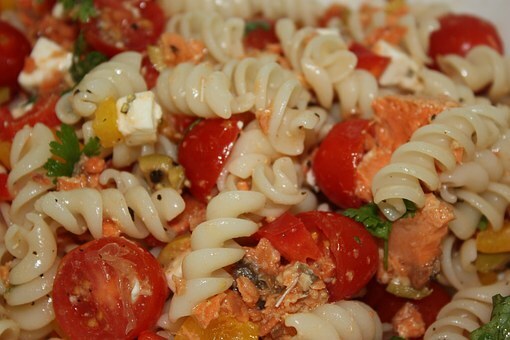 Packaged pasta salad is another side dish you can embellish upon. Prepare as directed and add in things like olives, pepperoncini, pepperoni, tomatoes, feta, red peppers, onions...whatever suits your family's tastes. Another tip is to check the bag or box for alternate preparation ideas. Not every meal has to be slaved over or planned to the nth degree to be delicious and satisfying. So next time you're puzzling over dinner to the tune of grumbling stomachs, try some of these ideas or come up with your own creations. 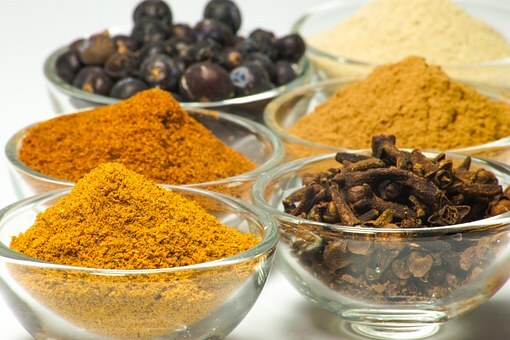 What is your favorite pantry staple? What are some of the ways you jazz up convenience foods? Many good recipes come with a story. They can be handed down for generations or the result of a plan gone awry. This recipe comes from friends who served it at a wine dinner they held in their wine shop. Their backgrounds are Italian and Polish, I believe...forgive me if I got that wrong. We were all gathered around the table and when the course was announced, I thought hmm, I probably won't like this but here goes. I forget exactly what they called it, but essentially it was white rice and navy beans (white beans) with a onion and butter sauce topping. 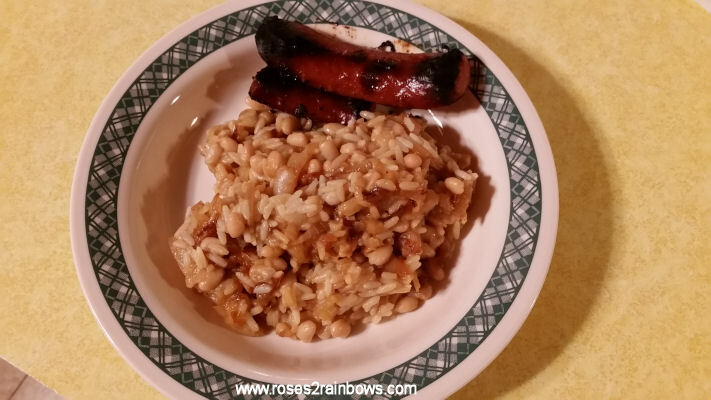 Who would have thought that the combination of white rice, white beans and onions would make such a tasty dish? Not me for sure, but let me tell you I was surprised and pleased. It was so simple and so delicious, I had to try and duplicate it. Now I don't make it like they did, but it is every bit as good because all the same ingredients are there. Remember, I don't measure this stuff (except the rice and water), so these are my estimates, and I may use more or less on any given day. And yes, you read that right. Four cups of onions...don't skimp, the onions make the dish! Heat a couple tablespoons of olive oil in a large skillet over medium low. 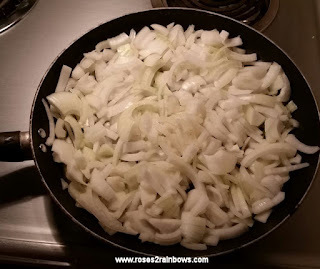 Add the onions and let them cook, stirring occasionally for about 45 minutes total, adding more olive oil as needed. I put a lid on mine, but it's not necessary. Periodically add small amounts of butter, reserving some to stir in just before you add them to the beans. At about the halfway point, bring the water to a boil and add the beans and rice. Cover, reduce the heat and cook for 20 minutes. 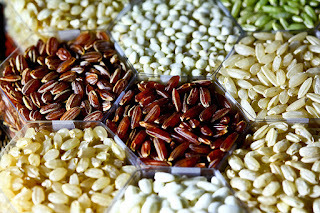 When the rice is done and the onions are a dark golden color, add them to the beans and rice and mix thoroughly. This recipe can be used as a main dish or a side and is easily doubled. I often serve it with a small portion of sausage or perhaps a vegetable. It's not the most photogenic dish, but it is really good. I served this last night with some spicy sausage. Yum! Are you a grill master? Do you love the sound of the gas lighting up, the smell of the fire, or the glowing embers of charcoal? Whatever your preference, grilling is fun, it brings people together and the food speaks for itself. Grilling isn't complicated, but there are a lot of variables and grill options. Gas or charcoal is what most people use, and those are found at every hardware and home improvement store as well as many big department stores. There is always going to be the debate over which one is better, but that's not the point here. This is an overview of how to grill successfully. Having said that, charcoal is definitely a popular method, and the one I grew up with. However it is more affected by the weather than gas grills, thus timing is more unpredictable and the main reason I use gas. Many foods lend themselves to grilling, but not all require the same heat or time to cook. For proteins, there are two main methods of cooking, direct heat and indirect heat. For foods that cook rather quickly, you use the direct method of placing the food directly over the heat. Usually all burners are on and set to the same temperature; you may use a higher temperature for searing then reduce the heat. Foods using the direct method include steaks (2 inches or less), burgers, hot dogs, fish and shrimp. Your thicker cuts of meat, bone-in chicken and roasts, which take longer to cook, use indirect heat. You preheat your grill as normal, then turn one burner off and place your food there, leaving the other burner(s) to maintain your desired heat. 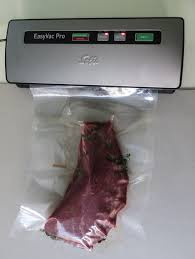 How will I know when my meat is done? That is a good question and one that hits on the more complicated aspect of cooking (not just grilling) meats. The easiest way is to use an instant read thermometer and you will find much information and charts here. There are other methods, including the hand and finger method described here. Most of the following tips apply to either gas or charcoal grilling. 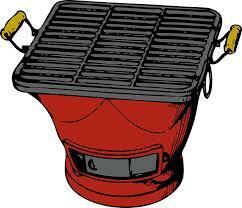 When lighting a gas grill, always leave the lid up to avoid a dangerous accumulation of gas. Always check your gas before beginning. It is no fun to jeopardize your expensive steak by running out of gas in the middle of cooking. Preheat for at least 15 minutes, and longer is better. Keep your grill grate clean. Scrub the hot grill down with a long-handled brush (I prefer brass bristles). You don't want residue from last weeks barbecue chicken on your salmon. You may oil your food and/or grill. If you oil your grill, do so just before putting the food on otherwise the oil will just burn off before you're ready to cook. Never slap a piece of cold meat on a hot grill. 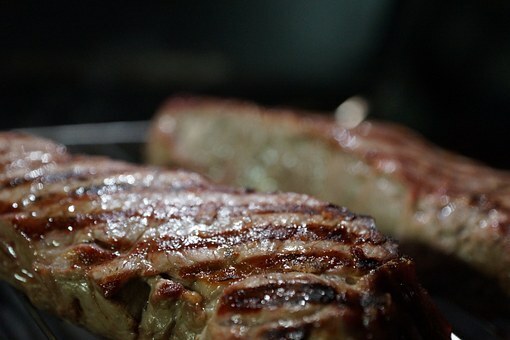 Always take your meat out of the refrigerator at least 30 minutes before grilling. Remember sugars burn at high heat, so always wait until your meat is nearly cooked before brushing on sauces containing sugar, e.g. barbecue sauce. Use tongs or a spatula to turn or remove your meats. Never use a fork as piercing the meat will allow the juices to run out. Always let your meat rest for at least 10 minutes after taking it off the heat. 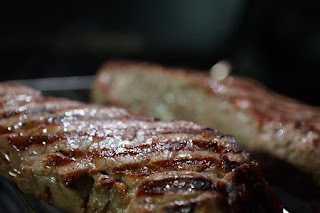 This allows the juices to redistribute throughout the meat giving you a juicy steak. From the simple hibachi to the Big Green Egg or anything in between, grilling is a delicious way to prepare food, and best of all, there is less to clean up in your kitchen. Sausage may be a love it or hate it food. I love it and always have some in my freezer. I seldom think about what type it is beyond whether it is spicy or mild and whether I need to really cook it or just pop it on the grill until it is browned and sizzling. There is more to sausage than initially meets the eye. It is basically ground meat, usually but not always, pork, mixed with seasonings. It may be stuffed into casings, formed into patties or sold in bulk by the pound. 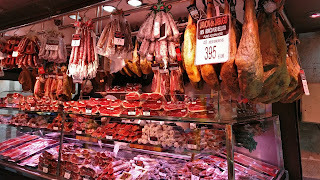 Following are some of the different types of sausages and a little information and examples for each one. Fresh. These need to be refrigerated or frozen if not used immediately. 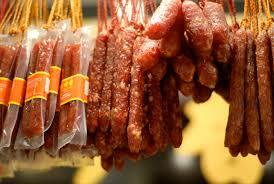 Fresh sausage must be fully cooked before eating. When cooking, prick the skins so they don't explode because that spurt of hot grease when you turn them is impressive. 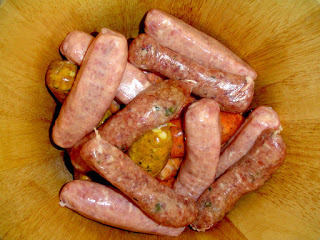 Also, fresh link sausage can be removed from the casing to be crumbled and cooked for other dishes. Pre-cooked. All pre-cooked sausage start with a smooth pureed filling, which may be partially cooked before stuffing, but all are cooked after stuffing. 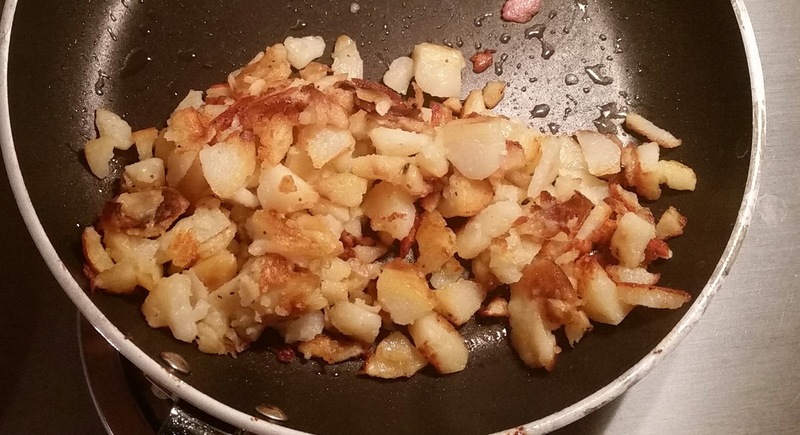 You still want to cook these or at least heat thoroughly to bring out the flavor. Many deli meats fall into this category. flavor and preserves the meat. These can be eaten as is or cut up and used in other dishes. Like the pre-cooked, you often find these in the deli. Cured. This type of sausage is made fresh then salted and air dried. These make great appetizers and snacks. Slice thinly and serve at room temperature. Tell me which sausage you like and how you prepare or serve it.